Kaushal Kishore received his early education in chemistry from Lucknow University, and his Ph.D. from the Gorakhpur University under the guidance of the distinguished physical chemist, Professor R. P. Rastogi. After a brief stint at Gorakhpur University as a lecturer, he moved to the Department of Inorganic and Physical Chemistry, at the Indian Institute of Science, as an Assistant Professor in 1974. Subsequently, he rose through the academic ladder to become a full professor in 1984 and served as the head of the department during the years 1994-1998. Kishore started his career at the IISc working on the kinetics and thermodynamics of combustion, specifically as it related to solid propellants. During this early period, he collaborated with Professor Pai Vernekar on several programs on solid propellants that were funded by ISRO and DRDO. His work in this area led to several novel discoveries that shed light on the role of various components in such solid propellants. One was the finding that the polymeric binders used in these systems undergo several chemical transformations during combustion and also as a result of aging leading to the generation of polyperoxides.1 He showed that these polyperoxides caused an accelerated combustion in such solid propellant compositions. With this insight, he soon discovered a phenomenon unique to these polymers, that he termed �autopyrolysis�,2,3 which catapulted him into fame. His continued interest in this new class of polyperoxides, led to many other new research directions which helped in understanding both the polymer formation process as well as in developing potential applications for this class of polymers.4 Thus, in his early work, he brought to bear upon the phenomenon of combustion his deep understanding of chemical thermodynamics to formulate, quantify and provide a detailed mechanistic insight into the complex process of combustion,5 especially in composite formulations such as solid propellants. This led to many years of fruitful collaborations between his group and both the defense laboratories and ISRO, which lasted even during his last days at IISc. The knowledge of combustion and flammability of polymers naturally led him to another �burning� issue and that was flammability of synthetic polymers � this time, however, on how to inhibit or suppress combustion. Given the contextual importance of this topic, he soon designed and tested various models for assessing the flammability of combustible materials and defined a new dimensionless quantity he termed �Flammability Index�.6 Further, he went on to design new additives that would retard/inhibit the flammability of various polymeric materials � making flame retardancy his newly found love.7 His interest in understanding the effect of such additives on the various properties of polymers, primarily on the lowering of their glass transition temperature (Tg), led him to yet another topical area in polymer science � plasticization. Some of his early work on studying phosphorous containing additives that act as both plasticizers and flame-retardants is well acclaimed. His interest in the later years primarily focused on two subjects � one was related to the mechanism of plasticization in polymers and the other to polymer degradation. His was a search for a molecular basis for the plasticization of polymers. To this end, he designed several novel plasticizers with different molecular topologies and attempted to relate various macroscopic characteristics, such as their flow behaviour to the effectiveness in plasticizing PVC, in particular.8 His efforts in designing polymers similar to polyperoxides, which he termed �weak-link� polymers, drew his attention to analogous systems, such as polydisulfides.9 Towards the later part of his career, he primarily addressed issues related to the degradation mechanism of these weak link polymers � here again attempting to relate the mechanism to the intrinsic bond energies and heats of formation. 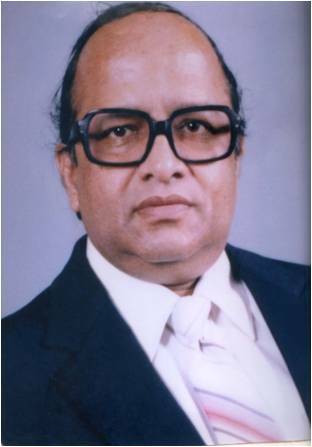 Professor Kishore�s work was always characterized by its ingenuity, depth and simplicity of analysis. He saw science in everything and had a strong conviction and motivation to understand all phenomena he observed at the microscopic, and if possible at a molecular level. His solid foundation in chemical thermodynamics brought to polymer chemistry a much-needed �thermodynamic bias� � a term he often used to characterize his work. Using numerous tools, starting from thermal analytical methods, rheological measurements, NMR and computational methods, he attacked his problems with passion and a characteristic zeal � which often culminated in nailing the issue on the head. Kishore was extremely industrious, and often worked in the lab till the wee hours of the morning, writing papers, reading journals and discussing science with his students. His students will always remember him with fondness � for he was not only their research guide but also their friend and a confidant. Recognition for his achievements came in many forms. Professor Kishore was awarded the Bhatnagar prize in 1988, was elected to the Fellowship of the Indian Academy of Sciences in 1991 and later to that of the Indian National Science Academy in 1999. He has also been on the editorial board of J. Appl. Polym. Sci., since 1995. Kishore served on several important decision-making bodies in the country � various assessment committees, research councils of national laboratories and in many others. His later years were turning out to be busier than he probably would have liked it, requiring him to take up frequent travel. He often joked that the security guards at the airport mistook him for someone very important and would stand in attention whenever he passed by. His stature and personality, without his knowing, often generated this reaction � little did they know of the gentle soul within. Kishore enjoyed company and had a great sense of humor � even when he was the subject of the joke. He savored good food, was a avid cricket fan with an enviable knowledge of cricket statistics and great lover of Hindi cinema � all of it - from the days when he was a teenager to the most recent ones, something very few of us can boast of. This speaks volumes about his personality � a willingness to adapt to the changing times. Kaushal Kishore died in the year 1999. The award is in honour of one of our very distinguished polymer scientists, Professor K. Kishore. This award will recognize young outstanding polymer scientists of our country who have made important research contributions and have demonstrated the potential to become global leaders in their chosen fields of research. The award is open to researchers, under 45 years(candidates must be born after December 31, 1973) of age (born after December 31, 1973), who are working in India. The award will carry a cash prize of Rs 100,000/- along with a citation.